Are you an artist looking to explore digital media? Are you a web developer wanting to learn new skills, and new tools? Do you want to create using computers? In my studio in Brooklyn, I lead small-group workshops exploring various topics including Processing, data visualization, generative practices, and tangible computing. With a maximum class-size of 10, these workshops allow for plenty of one-on-one instruction, as well as dialogue and discussion between all attendees. These sessions provide an excellent opportunity to learn new skills and to explore new ideas in a comfortable environment. Workshops are typically one day (7 hours), except where indicated, and include lunch, and all printed materials. **NOTE: Attendance for each workshop is limited to 10. First pay, first serve. Below is a list of workshops planned for 2013. Dates are subject to change depending on attendance, and more workshops will be announced soon. If you are interested in attending, or have questions, please don’t hesitate to get in touch with me. Discounts are available for group bookings. Processing Level 1: Introduction to Processing – Processing is an electronic sketchbook for developing ideas. Since its simple beginnings at MIT, it has emerged as an invaluable tool for media artists, designers, and programmers around the world. In this workshop, we’ll start from the beginning, learning the basics about Processing and working toward creating our first interactive sketches. This workshop is suitable for anyone – even those with no programming experience at all. Processing Level 2: Advanced Techniques – You’ve learned Processing, and now you want to take things a little further. In this workshop, we’ll focused on advanced (and useful) techniques to step up your sketching. We’ll look at object-oriented programming strategies, 3D techniques, advanced video output, along with a pile of helpful tips and tricks that I have learned over my years of working with Processing. Attendees are expected to have some knowledge of Processing – those proficient in other programming languages will probably fit in just fine. Processing and Data Visualization – Processing is an ideal tool for exploring and visualizing data – particularly for rapid prototyping and for handling large data sets. In this workshop, we’ll use the NYTimes, Twitter & HuffPo Polling APIs as working examples to learn techniques and processes useful when working with large amounts of information. We’ll create and publish unique visualizations and will demonstrate how to apply concepts learned to other data sources. Participants should have a working knowledge of Processing. Archive, Text, & Character(s) – In this full-day workshop, we’ll see how text can operate as a unique substrate for creative exploration. Using various unique corpuses, we’ll explore techniques to parse, analyze, and visualize huge bodies of text. Attendees will learn how simple (and even some not-so-simple) statistical methods can be combined with exploratory visualization strategies to find patterns of language within and between separate texts. More than that, participants will learn how computational methods can reveal the unique character of text. Workshop participants should have some programming experience, and should be familiar with the basics of Processing. Discounts are available on the Eventbrite registration pages for early registrants (the first 4 tickets sold) and for students/underemployed/not-for-profit folks. 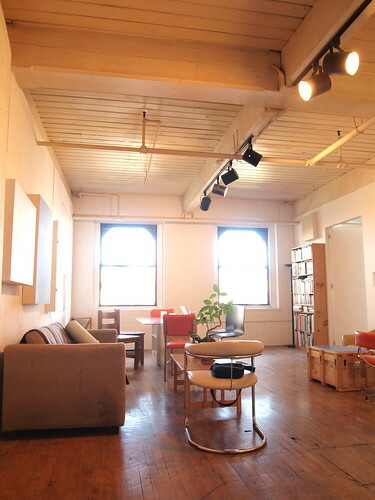 Workshops are held in my loft studio in a historic building in DUMBO, Brooklyn. This unique space offers plenty of room for relaxed instruction, work, and discussion. The studio is 10 minutes away from A, C, and F trains, and is a short subway ride away from Manhattan. Jer Thorp is an artist and educator from Vancouver, Canada. A former geneticist, his digital art practice explores the many-folded boundaries between science and art. Thorp’s award-winning software-based work has been exhibited in Europe, Asia, North America, South America, and Australia and all over the web. Jer has over a decade of teaching experience, in Langara College’s Electronic Media Design Program, at the Vancouver Film school, and as an artist-in-residence at the Emily Carr University of Art and Design. Most recently, he has presented at Carnegie Mellon’s School of Art, at Eyebeam in New York City, and at IBM’s Center for Social Software in Cambridge. 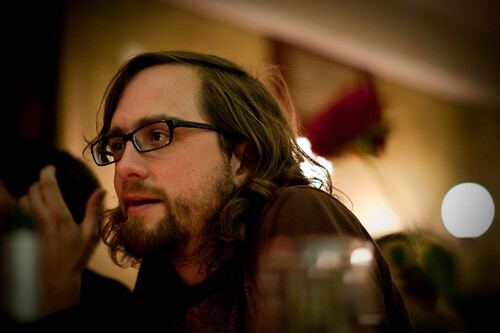 From 2010 to 2012 Jer was the Data Artist in Residence at the New York Times.